is the Walter S. Carpenter, Jr. Professor of International Studies at Cornell University. His research and teaching lie at the intersection of the fields of international relations and comparative politics. Katzenstein's work addresses issues of political economy, security and culture in world politics. His current research interests focus on power, the politics of civilizations and regions in world politics; and European and German politics. Recent books include Protean Power: Exploring the Uncertain and Unexpected in World Politics (Cambridge University Press, 2018), co-edited with Lucia Seybert. Anglo-America and Its Discontents: Civilizational Identities beyond West and East (Routledge, 2012). Sinicization and the Rise of China: Civilizational Processes beyond East and West (Routledge, 2012). Civilizations in World Politics: Plural and Pluralist Perspectives (Routledge, 2010). He is the author, coauthor, editor and coeditor over 40 books, edited volumes or monographs and over 100 articles or book chapters. Katzenstein served as President of the American Political Science Association (2008-09). He was elected to the American Academy of Arts and Science in 1987, the American Philosophical Society in 2009 and the British Academy in 2015. He holds six honorary degrees from Renmin University (2008), the University of Piräus (2010), Peking University (2011), the University of Antwerp (2012), the University of Leiden (2015) and China Foreign Affairs University (2015). 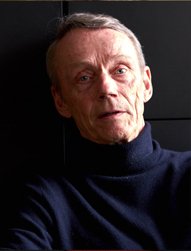 He is the winner of the Susan Strange Award (2011) of the International Studies Association and an Honorary Lifetime Member of the Swiss Political Science Association. He was the recipient of the 1974 Helen Dwight Reid Award of the American Political Science Association for the best dissertation in international relations; of the American Political Science Association's 1986 Woodrow Wilson prize for the best book published in the United States on international affairs; and, together with Nobuo Okawara, of the 1993 Masayoshi Ohira Memorial Prize. The Culture of National Security was selected by Choice magazine as one of the top ten books in international relations in 1997; his coauthored book, with Rudra Sil, Beyond Paradigms: Analytic Eclecticism in the Study of World Politics was the winner of the Choice Outstanding Academic Title in 2011; Anglo-America and Its Discontents: Civilizational Identities beyond West and East was one of Foreign Affairs magazine top picks in 2013. Katzenstein has been a Fellow at the Princeton Institute for Advanced Study, the Stanford Center for Advanced Study in the Behavioral Sciences, the Russell Sage Foundation, the Woodrow Wilson Center and the Wissenschaftskolleg Berlin. In addition he has held numerous other fellowships and continues to serve on the editorial boards and academic advisory committees of various journals and organizations, both in the United States and abroad. Since 1982 Katzenstein has served as the editor of over 100 books that Cornell University Press has published under the imprint of the Cornell Studies in Political Economy. Since joining the Cornell Government Department in 1973 Katzenstein has chaired or been a member of more than one hundred dissertation committees. He received Cornell's College of Arts and Science Stephen and Margery Russell Distinguished Teaching Award in 1993, and, in recognition of sustained and distinguished undergraduate teaching, was made one of Cornell University's Stephen H. Weiss Presidential Fellows in 2004. Peter Katzenstein – Rate My Professors.